When you buy an iPhone from a phone company like AT&T or Verizon, you're signing up to use that phone company's service (often for two years). Even though iPhones can technically work on multiple phone company networks, when your initial contract expires, your iPhone is often still "locked" to the company you bought it from. That means it's only configured to work with that company. The question is: Can you use software to remove that lock and use your iPhone on another company's network? If you live in the United States, as of Aug. 1, 2014, it is legal to unlock your iPhone or another cell phone. When people want to change phone companies without having to buy a new iPhone, many people "unlock" their iPhones. Unlocking refers to using software to modify the phone, so it works with more than one phone carrier. Most phone companies will unlock phones under certain conditions, such as after a contract has expired or when you've paid off the installments on your phone. As a result, some people unlock their phones on their own or pay other (non-phone) companies to do it for them. If you want to learn how to unlock your phone, read Unlock the iPhone on AT&T, Verizon, Sprint and T-Mobile. On Aug. 1, 2014, President Barack Obama signed into law the "Unlocking Consumer Choice and Wireless Competition Act." This law, designed to overturn a previous ruling on the unlocking issue, makes it legal for any cell phone or smartphone user who has fulfilled all the requirements of their phone contract to unlock their phone and move to another carrier. With that law going into effect, the question of unlocking — which had at one time been a gray area, and then later banned — was settled permanently in favor of consumers' ability to control their devices. The U.S. Library of Congress has authority over the Digital Millennium Copyright Act (DMCA), a 1998 law designed to govern copyright issues in the digital age. Thanks to this authority, the Library of Congress provides exceptions to and interpretations of the law. 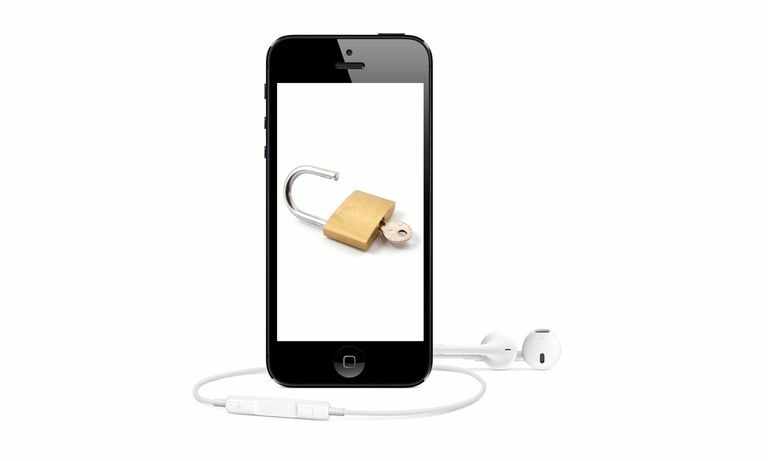 In Oct. 2012, the United States Library of Congress ruled on how the DMCA affects unlocking all cellphones, including the iPhone. That ruling, which starts on page 16 of the linked PDF, went into effect on Jan. 25, 2013. It said that, because there were some phones that users could buy unlocked right out of the box (instead of having to unlock them with software), unlocking cell phones was now a violation of the DMCA and is illegal. Phones bought after Jan. 25, 2013. Phones that were subsidized by phone companies. Phones in the U.S. The DMCA and Library of Congress have no authority outside the U.S. The ruling affected all cellphones sold in the U.S., including smartphones like the iPhone. But, as noted above, that ruling no longer applies and unlocking is now legal. There's another term often used in conjunction with unlocking: jailbreaking. Though they often are discussed together, they're not the same thing. Unlike unlocking, which lets you switch phone companies, jailbreaking removes restrictions on your iPhone placed there by Apple and allows you to install non-App Store apps or make other low-level changes. So, what's the fate of jailbreaking? There's no change. The Library of Congress previously said that jailbreaking is legal and its previous ruling upholds that (starting on page 12 of the PDF linked to above, if you're interested). The law signed by President Obama did not affect jailbreaking. Unlocking is legal in the U.S. To be able to unlock a phone, you'll need to either buy an unlocked phone at full price or complete all the requirements of your phone company contract (generally either two years of service or paying installments for the price of your phone). Once you do that, though, you're free to move your phone to whatever company you prefer.